If you have been injured in a trip and fall accident in Cutler Ridge, then the first thing to do is take care of your physical wounds that require urgent medical help. After that, make sure you call an experienced Miami personal injury lawyer to help you start the damages recovery procedure the right way. You should know that the other side never wants to pay for damages and will try to avoid it under any circumstances. If you make a mistake from the beginning, they and their lawyers will take advantage of it, and maybe they'll avoid paying you. But, if you have a Cutler Ridge trip and fall lawyer assisting you, then you will increase your chances of success. That's why you should call us at the Miami personal injury law firm of Gerson & Schwartz for help. We offer you free no-obligation consultations at (305) 371-6000. Call us, ask us anything you want to know about the legal aspects of your accident. Our Cutler Ridge accident attorneys will answer all your questions at no cost. If you choose us to represent you, have in mind that we handle cases on a contingency basis. It means that we don't ask for fees unless we recover for you. Cutler Ridge is now called Cutler Bay, but the locals aren't used to the new name just yet. When the then-unincorporated Cutler Ridge area was set to be incorporated into the City of Cutler Ridge in November 2005, it was renamed Cutler Bay. Cutler Ridge is in Miami Dade County, next to the Biscayne National Park. Palmetto Bay is on its northern borders, West Perrine, Goulds, and South Miami Heights are on the west, and Lakes by the Bay are on the south of Cutler Ridge. A total of 44,000 people live there. Most of them are white people with English as a first language, but there is a significant Latin-American population as well. 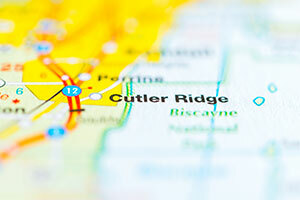 Trip and fall accidents in Cutler Ridge are as common as in any other part of Florida. With so many commercial businesses inviting visitors and guests in their premises, such as hotels, resorts, motels, parks, restaurants, bars, cafes, shopping malls, strip shopping malls, gas stations and convenience stores chances are that someone can be negligent and placing guests' health and life at risk. Trip and fall accidents occur for several reasons. Many times, it's due to something as simple as an object on the ground that shouldn't be there. It can be garbage, debris, uneven surfaces, depressed carpets, inadequate lighting, improper flooring materials, and other irregularities. The injuries that people get due to Cutler Ridge trip and fall accidents range from small bruises to neck injuries, traumatic brain injuries, broken hips, spinal injuries, scarring, broken bones, and other serious injuries. In some cases, trip and falls may even lead to death. It is important to know that the person or company that controls the premises owes you a duty of care and can be liable for your personal injuries suffered in a Cutler Bay trip and fall accident. This means that the place where you tripped and fell, be it a shopping mall, a supermarket, a resort, movie theater or other commercial establishment is obliged by the law to undertake all the reasonably necessary measures for preventing foreseeable accident. Floors should be clear of garbage, debris and obstacles. Simply stated the grounds should be safe for walking for everyone. If you were injured in a trip and fall accident in Cutler Ridge, then you should seek the advice and counsel of the best Cutler Ridge trip and fall lawyer you can call. The responsible party may not be obvious. Your trip and fall accident attorney in Cutler Ridge can perform the necessary investigation and identify each potential defendant. At that point, you will be able to make an informed decision of how to proceed to get the compensation that you deserve for your Cutler Ridge trip and fall accident and injury. If you or a loved one has been injured in a trip and fall accident in Cutler Ridge, our Cutler Ridge trip and fall lawyers can help you recover the damages that you deserve. Call us now at (305) 371-6000 for your free consultation with our Cutler Ridge trip and fall attorneys. We don't ask for fees until we obtain compensation for our clients.